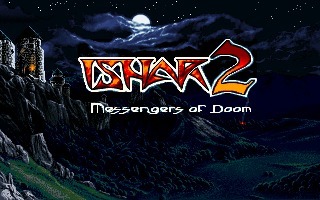 Ishar 2: Messengers of Doom is the second chapter of the fantasy RPG saga created by French studio Silmarils. 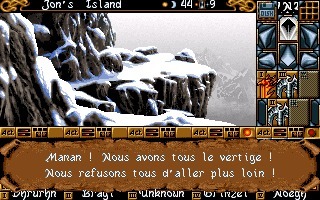 Ishar 2: Messengers of Doom is the second chapter of the fantasy RPG saga created by French studio Silmarils. 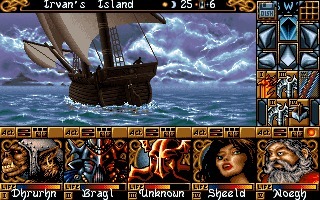 The game was released in 1993 for the Amiga, Atari ST, and DOS. 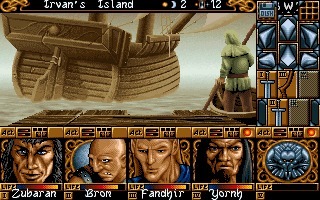 Like the first Ishar, the gameplay is in real-time, based on a first-person perspective that allows you to travel in and interact with a pseudo-3d world. Technically speaking this makes the game similar to other dungeons crawlers like Dungeon Master or Eye of the Beholder, but the graphics and atmosphere are totally different. Mainly because the world is not just made of dungeons; for the majority of the time you are outdoor, traveling through towns, forests, swamps, and mountains, a choice that made the game quite innovative at the time (and probably started a new genre, think about Morrowind and Skyrim for example). The game also features a night and day cycle, so, you will find the shops closed during the night. 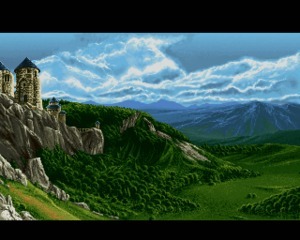 The fantasy world is big, much bigger than the first Ishar, and you are entirely free to visit it as you prefer. Another fascinating aspect is the management of the party. You can add up to 4 characters (for a total of 5), but each one of them has a specific personality. When you want to add (or dismiss) a member, the others will vote for or against. Somehow, this reminds me of Dragon Age. 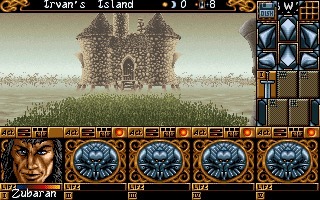 Ishar 2 is considered the best of the series. 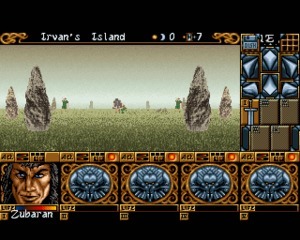 On the Atari ST, it received impressive reviews, but it's the Amiga AGA version, featuring a beautiful 256-color graphics, that shows the best of this game. 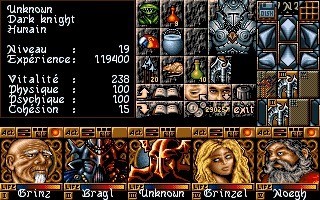 A fine example of European-style RPG.